Ritzenried. 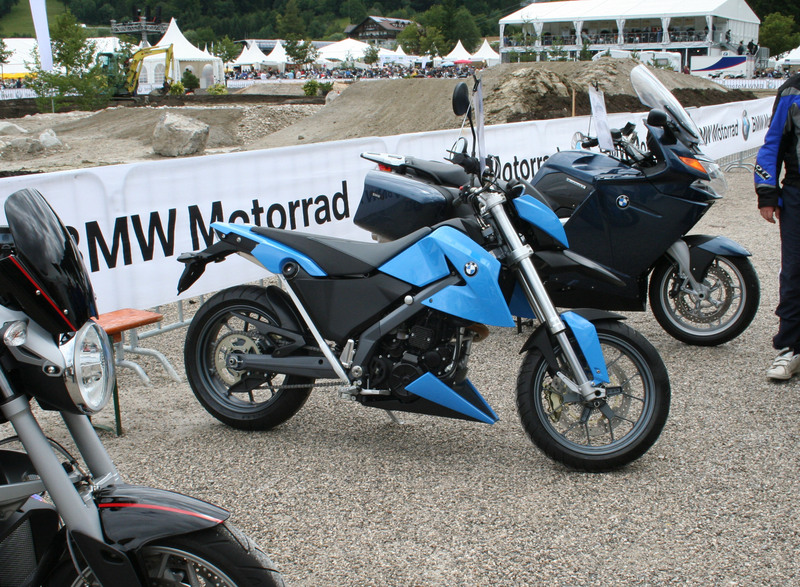 At BMW Motorrad Days 2007 we showed off our G650X Moto conversion for the first time. 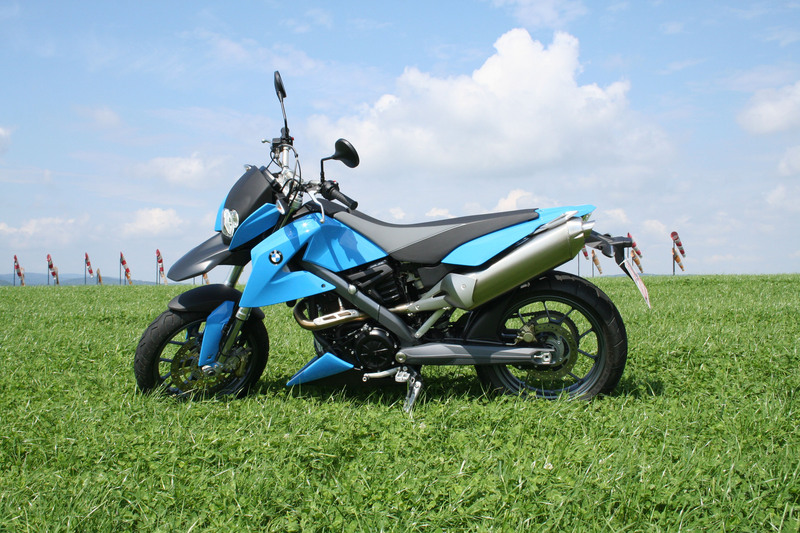 First impression is the light blue colour and the very sharp lines setting the bike above the rest. 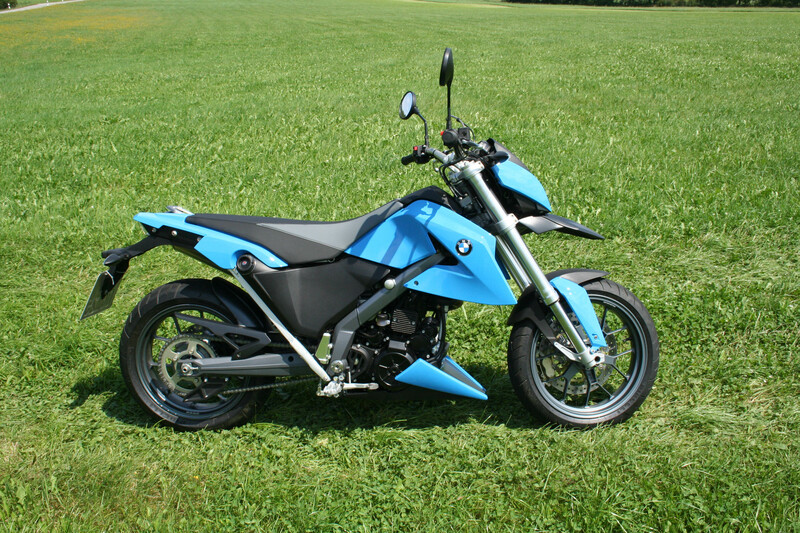 The engine spoiler with aggressive edges matches the beak and adds to the Hypermoto look. 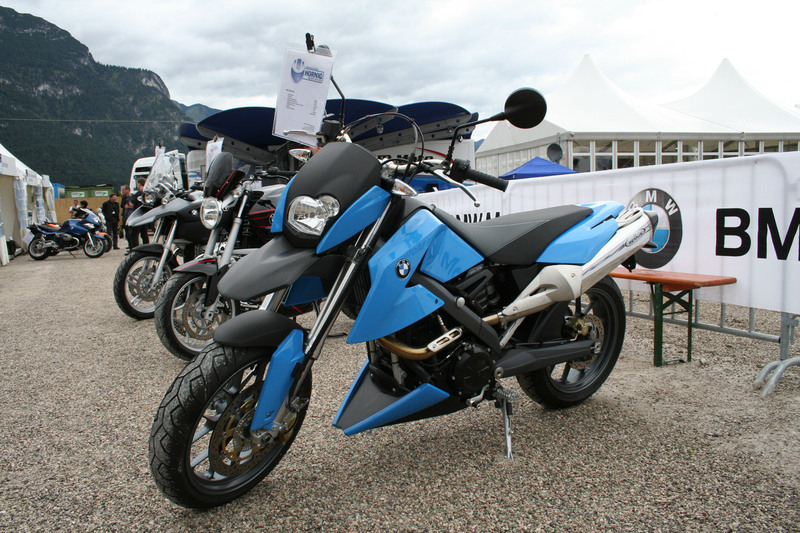 The Moto features 125mm (5in) lowered suspension, providing a safe mount even for riders over 1.65m (5ft 4in) while still offering excellent handling characteristics. All GRP parts are supplied black primed and may be painted in any colour. Naturally we added some of our aluminium parts, and more are in development for these models. Overall the G650X makes a great Fun Bike with loads of potential for individual finishing.